As we grow older, we begin to experience hair loss. This is actually normal as the human body has been orchestrated in such a way that it would lose strands of hair daily. It should, however, be noted that the level at which we lose hair is different. Some people are quite hairy and have no propensity of getting bald regardless of the amount of hair that is lost. The strands of hair lost grow again, which is part of the standard growth cycle experienced by man. Well, not every man experiences total re-growth of the lost hair. One of the most significant fears of man is getting bald. Being bald can affect one psychologically as it could reduce one’s self-esteem and confidence. Most men never want to get bald as it could alter their appearance in negative ways. Hence, it is always a thing of concern when a man loses some strand of hair and does not experience any re-growth. They quickly seek a solution when they notice hair loss and no form of re-growth of hair. The bid to find a solution to hair loss has made people stumble on the use of coconut oil. It is believed that coconut oil can be used for the treatment of hair loss. However, the question that comes to mind is how coconut oil can be used for hair loss treatment. However, before getting to know how coconut oil can be utilized to treat hair loss, it would be good to know how coconut oil works in fighting and stopping hair loss. 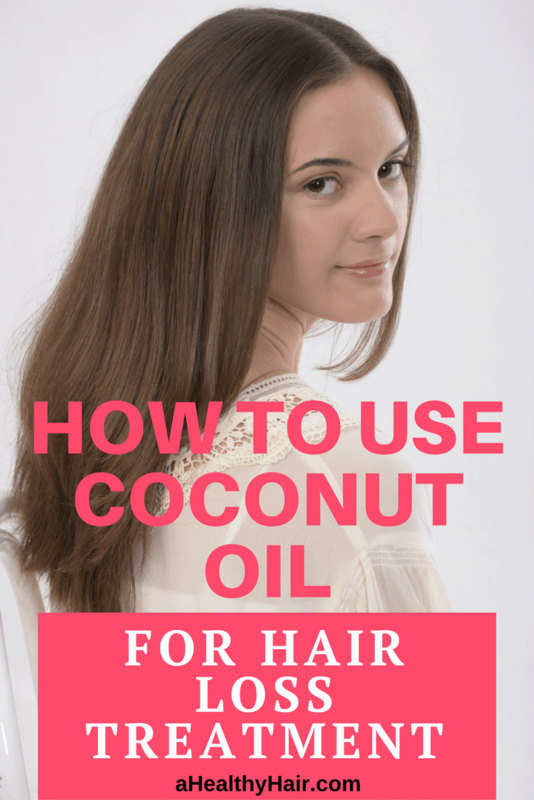 This will enable you to understand how to efficiently make use of coconut oil for hair loss treatment if indeed it can be used for it in the first place. It should be noted that coconut oil might not work for everyone. However, there are evidence and proofs that coconut oil has a high tendency of stopping hair loss for some people. How does coconut oil prevent hair loss? Coconut oil possesses lauric acid that binds and mixes with the protein in hair. The lauric acid also protects the roots and strands from breakage. Hence, one would not experience hair breakage using the oil. Coconut oil mimics Sebum. Sebum is the natural oil of the body. It helps in preventing the scalp from drying out and also coats the hair roots to prevent them from getting damaged. A scalp that is adequately oiled and has healthy follicles has less tendency of experiencing hair loss. When coconut oil is used to massage the scalp, the circulation of blood to both the scalp and hair follicles would significantly This ensures that the hair follicles can absorb valuable nutrients needed for hair re-growth. 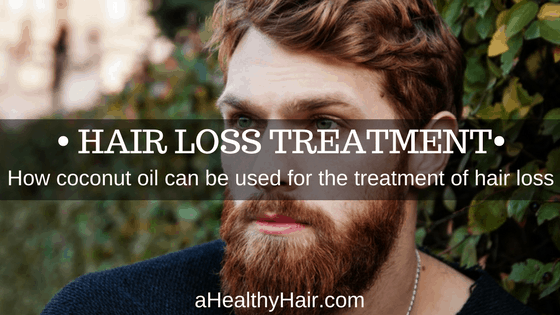 This procedure has proven to be effective over time as various people that have tried it claim that the use of coconut oil is counteracting hair loss and enhancing hair growth. After using it for 2-3 months, they testified that they do not experience any form of hair loss anymore and receding hairlines are filing in. Most anti-hair fall shampoos possess virgin coconut oil because coconut oil helps to prevent and cure hair loss. There are various kinds of coconut oil for hair treatment as they are made and created by various brands. An example is Gro-aut hair oil. 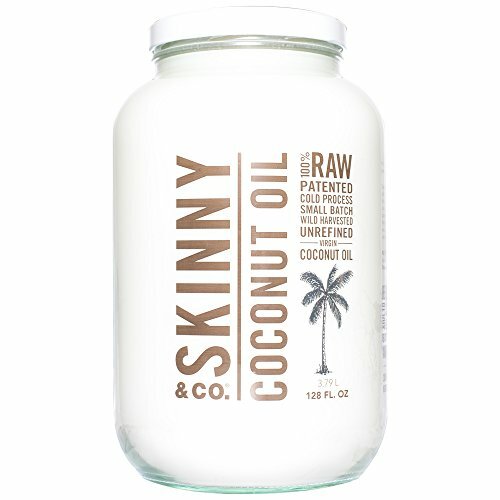 Skinny & Co Raw Virgin Skinny Coconut Oil is excellent for skin and hair because of its ability to make the hair grow faster and soft as well as for supple skin. It is natural: Keto Vegan, Non-GMO, Paleo, Soy-Free and contains no fats. It equally does not have preservatives, sulfates, Phthalates, BPA, Parabens, Latex, and Petrochemicals. This product can penetrate deep into the hair roots and repair damaged hair, improve the growth of the hair, increase its thickness and shine. It can also keep your hair from being destroyed by sunlight. It efficiently repairs cracked heels, scaly skin and scalp, dry heels and rough elbows. Its anti-bacterial properties help to get rid of psoriasis, itchy skin and eczema. It is made of natural ingredient and therefore, not harmful to your health. Our verdict: This product is great for anyone experiencing falling hairs and who wishes to grow thicker, shining hair. We strongly recommend the product. This hair oil is not necessarily to be applied to the hair to get a positive result. The beauty of this coconut oil is that you can spare yourself the routine of massaging your hair and giving it some special attention. All you really need to do is take it raw and unheated. You can as well use this oil for preparing your meals and even baking. When absorbed into the body, it provides the body with extra energy, support thyroid function, and create a healthy hormonal balance. These have a way of improving the environment needed for a healthy hair growth. The coconut oil is highly beneficial for hair growth and treatment. It ensures that the hair looks lovely and great.